For anyone considering studying at NTU, my advice would be do it! You will make friendships and memories that will last a lifetime here. 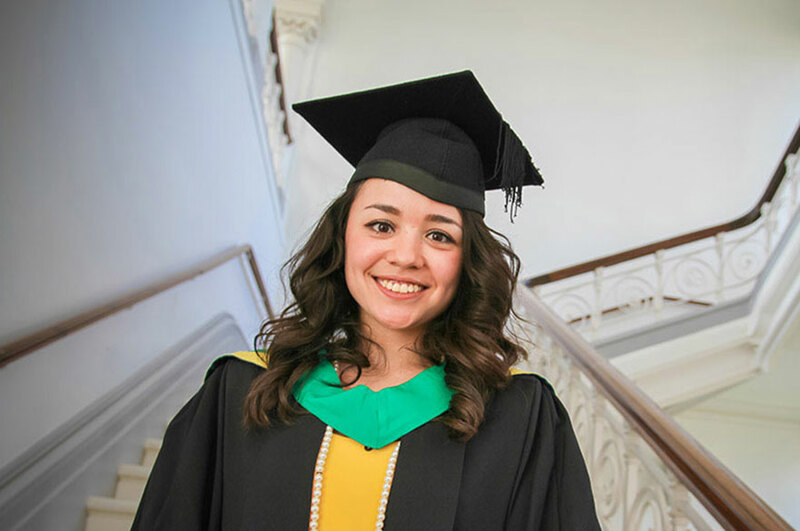 "I moved to the UK from Japan having previously spent some time in Spain and I was immediately struck by how diverse Nottingham is and the size of the student population. I was not planning on doing a degree here but I instantly started to make friends with students from both NTU and Nottingham Trent International College (NTIC). They were all so enthusiastic about their course and their life here in Nottingham that I decided to speak to the College and see what my options were for studying here. I hadn't studied past Japanese high school so I didn't think I would be able to study for a degree but the staff at NTIC were so helpful and friendly and they soon enrolled me on a one year diploma at the college. Once completed, this diploma allowed me to go directly into Year Two of my chosen undergraduate degree at NTU. "My time at NTIC was a great experience. I met so many people from all over the world and it really prepared me for life at university, teaching me British study methods, the English language and any extra help that I needed being an international student. It was also a great transition period into British life and gave me time to settle, make friends and get to know the city before my degree started. "Studying for my degree has been an experience I will never forget. Not only is the course really in-depth, well-structured and accessible for international students but also it's really practical and has given me so many opportunities for real-life industry experience. "The best part of my course has been the one year work placement. At first it wasn't something I considered doing as it added an extra year to my studies. However, in hindsight it has been the best experience of my life. Through the University placement team I got an amazing job offer to be an International Marketing Assistant in the International Development Office at NTU. This has given me a year's practical experience of working in an office environment full-time as well as having opportunities to travel and see international business in action. As part of my placement I was asked to assist with a recruitment campaign in Lagos, Nigeria. I spent just over a week travelling and helping with various marketing and recruitment activities. The experience was priceless, in those eight days I learned more about international business than I could ever have imagined. "For anyone considering studying at NTU, my advice would be do it! Get involved, take all the opportunities they give you, keep up with your reading but above all enjoy the experience. You will make friendships and memories that will last a lifetime here at NTU, I promise."